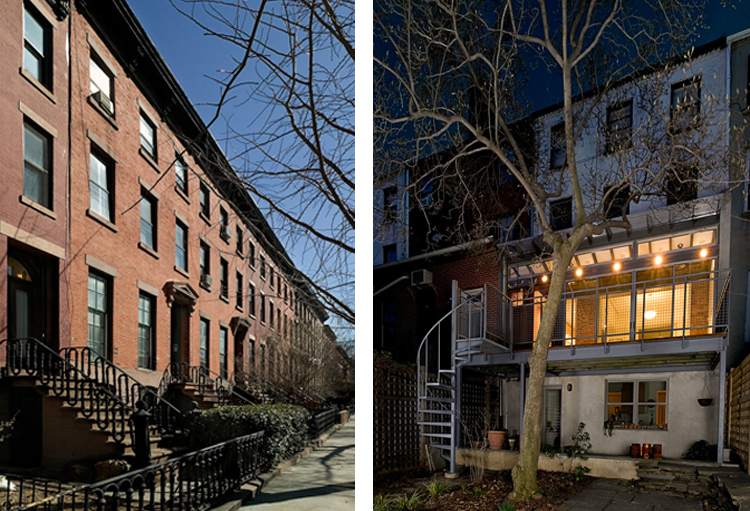 This historic townhouse in Brooklyn was completely renovated. A new kitchen, half-bath, and in-door and out-door dining areas were added to the rear. 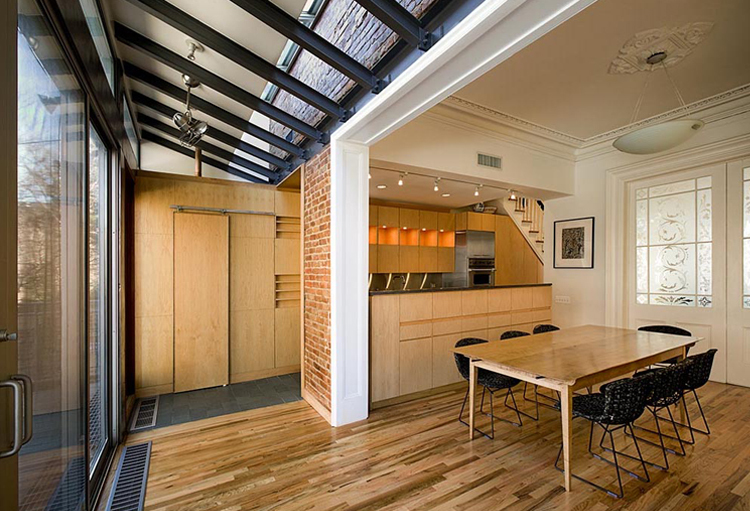 The addition consisted of blending historic components of the original townhouse with the new contemporary kitchen, service island and cabinetry open to a generous indoor dining area. 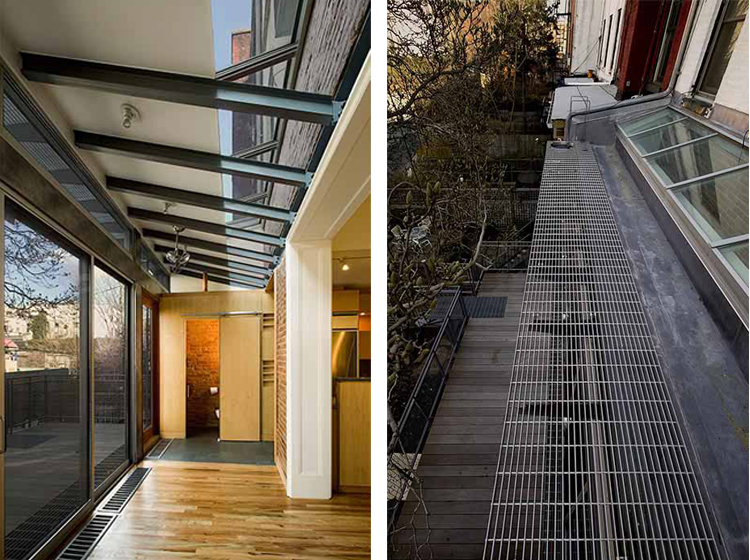 An inverted skylight addition with grating brise soleil, and a sliding glass wall spanning the width of the building, opens out to a wood and steel grating deck with spiral stair to the lower garden level.